I just don't understand the appeal of Stand-Up Paddling (SUP). Maybe it's an age thing. 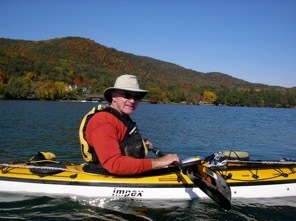 At my age it just seems more reasonable to sit while I paddle, rather than stand up. But a lot of people do find it appealing, especially if they're young. So when my stepson and grand kids came for a visit recently, Lisa had the bright idea of offering them SUP lessons with our friend Kristen Beck of the Florida Outdoor Center. They jumped at the chance and had a great time learning to paddle the SUP boards and taking a short trip on the St.Sebastian River. This little video shows what happened.